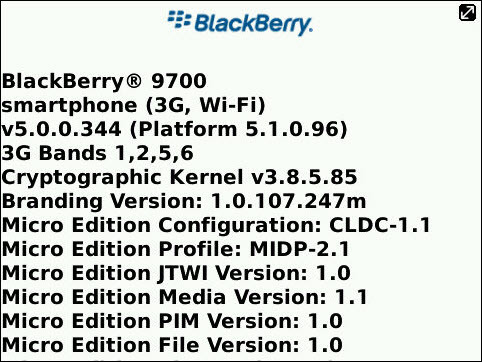 Leaked: OS 5.0.0.344 for the BlackBerry Bold 9700! Just bought a new BlackBerry Bold 9700 running the latest and greatest firmware? Well... it is a pretty dang wicked device, but depending what carrier you're picking it up from when it goes on sale, you may not have the latest firmware. Example: Rogers launched the 9700 with 5.0.0.321 while T-Mobile released it with 5.0.0.330. As we head into the weekend, we have OS 5.0.0.344 up for grabs. While this is an evil leaked OS, word is it is the gold candidate build for a couple of the European carriers out there that will soon be releasing the Bold 9700, so it should become "official" soon enough.